Light Design is not new to the corporate events industry having many years experience supplying the very finest corporate lighting production and effects equipment to our full range of clients. 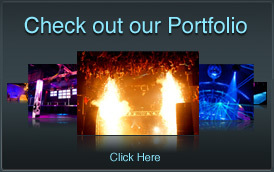 We can offer and supply lighting and special effects production for every possible type of client or events production in the corporate industry ranging from blue chip companies, private functions, university / staff gala and balls, product launches, exhibitions corporate event organisers and hotels. We are a nationwide company offering solutions to the corporate industry and with our centrally located warehouse we can offer fast delivery and fast turnaround for any bespoke production and offer a high-end service for our extensive and demanding corporate clientele. Light Design has amassed a prolific and extensive client base in the events industry that has seen us work on a whole range of high profile events offering bespoke lighting and production solutions to our customers. So, whether you require up lighters to create that subtle mood for your guests in a hotel, custom video or logo projection to heighten brand and brand awareness at your product launch, fountains and explosions for a grand entrance for a movie premier or stage performance, intelligent lighting internally for mood and atmospherics or to externally up light a building or temporary structure, we are the experts when it comes to corporate lighting for corporate events for corporate people! Light Design only use high end industry standard equipment so you can be assured of the very best lighting and production equipment for your events. 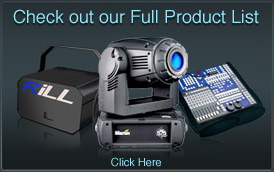 We stock all major brands when it comes to moving lights, video projection and special effect production; so your event is safe in our hands! Combine this with our very experienced production technicians and project managers, who have accumulated decades of experience supplying corporate production solutions to the corporate hospitality industries, it is clear to see why Light Design is the perfect choice as your events solutions provider! Light Design offer a high end service for our bespoke corporate productions offering full production management with our dedicated technical staff on hand to help you with every aspect of your event requirements. We offer a full design service where you can work with your dedicated project manager on every detail of your event; plotting your design into our 3D CAD software suite so you can visually see your production before being dispatched from our warehouse. This service allows you complete control of your events production and allows you to make important changes before production day so your event turns out exactly how you have planned it! Light Design takes health and safety seriously. When supplying lighting production equipment for your event we have up to date health and safety polices covering all aspects of our corporate production services. We also can supply detailed risk assessments and method statements for all special effects services like laser, pyrotechnics, strobe lighting and smoke machine equipment that require applications under the HSE guidelines. We will take all the hassle out of this process liaising directly with local authorities and councils to gain permission for the use for this equipment. Light Design also has extensive insurance specially provided for us covering all aspects of events production, special effects and lighting production. This all means you can spend less time worrying about paperwork and more time concentrating on putting on a special event with the back up and support of a company with years of experience; getting it right for its corporate customers! 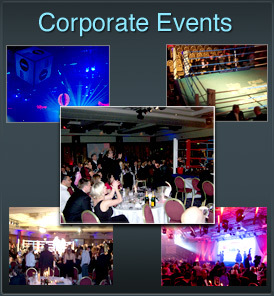 Light Design aims to offer its high end bespoke corporate events clients the very best in corporate lighting solutions and special effects productions; so join our already satisfied corporate customers in enjoying world class leading equipment, high levels of service with our dedicated trained professional technical staff. Let us work together to get your events, whatever the occasion, remembered forever!